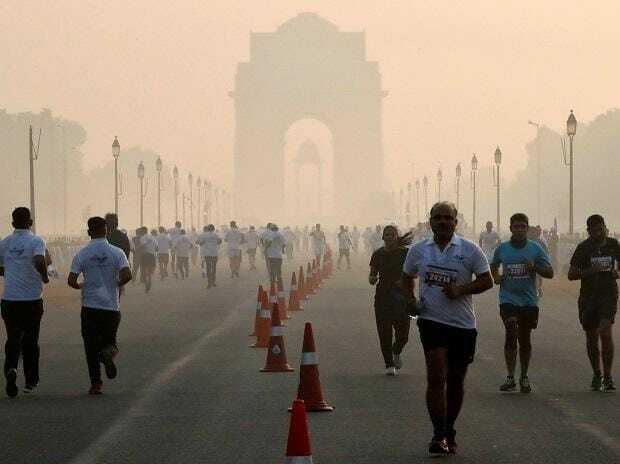 It was a cold morning in the national capital on Friday, the minimum temperature was 4.7 degrees Celsius, three notches below average and air quality remaining 'very poor', the Met said. According to Central Pollution Control Board (CPCB), Delhi continued to breathe very poor air with air quality index being 390. The major air pollutants were PM 2.5 and PM 10. A cold wave has been predicted to last till Saturday. Temperatures across northwest India has been reeling under similar low temperature, an India Meteorological Department official told IANS. Punjab, Haryana and Rajasthan were also experiencing biting cold. "The sky will remain clear through the day. There was mist and shallow fog in the morning," the IMD official said. The maximum temperature was likely to hover around 22 degrees Celsius. The humidity at 8.30 a.m. was 89 per cent -- a condition not favourable for dispersal of pollutants. Thursday's maximum temperature was 22 degrees Celsius, normal for this time of the year, while the minimum was 4 degrees Celsius, four notches below the season's average.